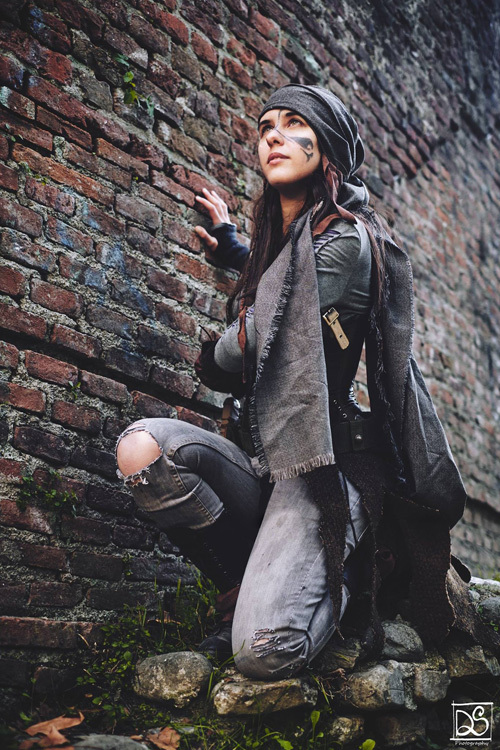 "Emori is a very special cosplay for me, and she has been a real challenge being the first costume of mine based on a real actor (the wonderful Luisa D�Oliveira, on top of that!) instead of some anime or virtual game reference. 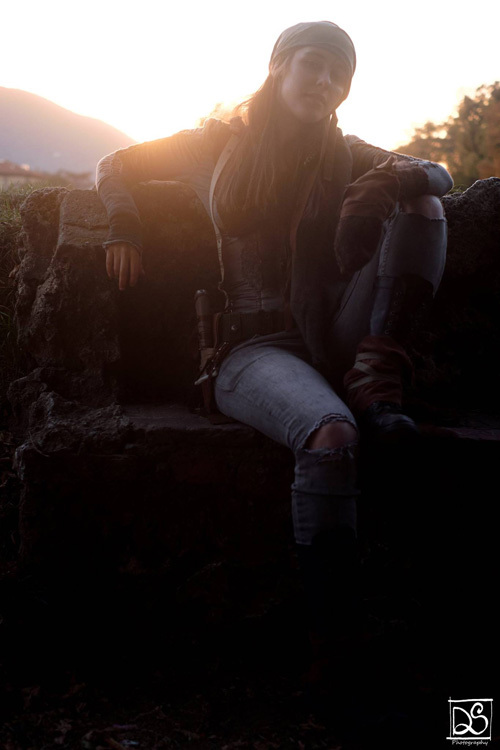 This meant a lot more of realism to be put in her weathered clothes, a lot of effort in trying to grasp a professional actor�s nuances in character�s expression of her emotion and attitude, and a lot of struggling considering the scarce resemblance between me and the actual Emori. 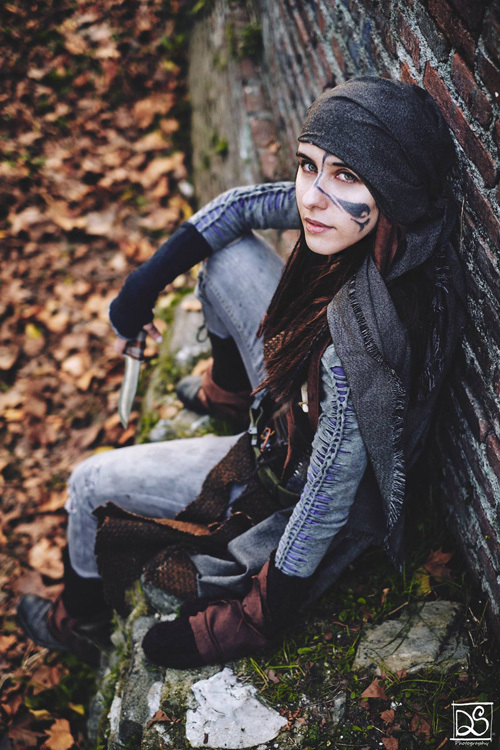 I was also conscious that due to the marginality of her role and of the whole The 100 series in my little cosplay community, my efforts for this costume would still have been unnoticed. I�m so glad I have been proven wrong by many friends and stunning photographers, who made me feel just like her for a while. At the end of the day, I feel so happy to have not given up on the whole thing despite my many perplexities - the love for my favourite Sandkru member has been vital to keep this project going. 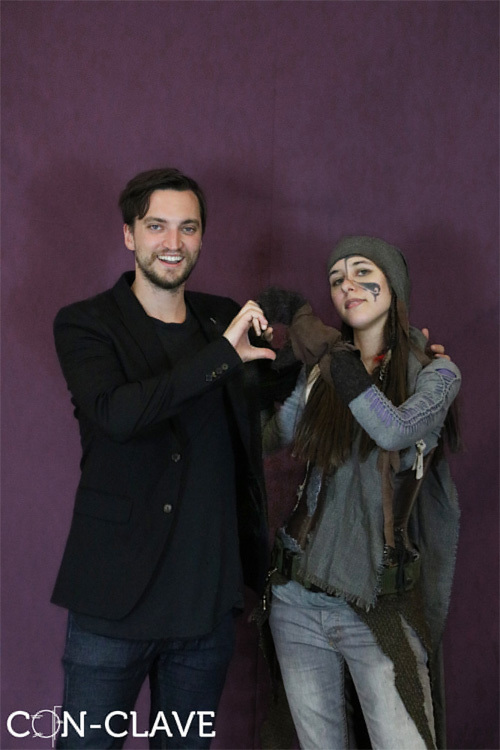 I guess the most exciting part of the whole thing has been receiving some praise for my cosplay by Richard Harmon himself when I managed to join Con-Clave 2, Milan: it still feels so unreal! She seems all but popular among the fandom, but I couldn�t really like her more - most probably for the same reasons she�s usually pretty despised (her individualism, her pragmaticity, her smartness, her wild looks, her partner-in-crime relationship with John,...). 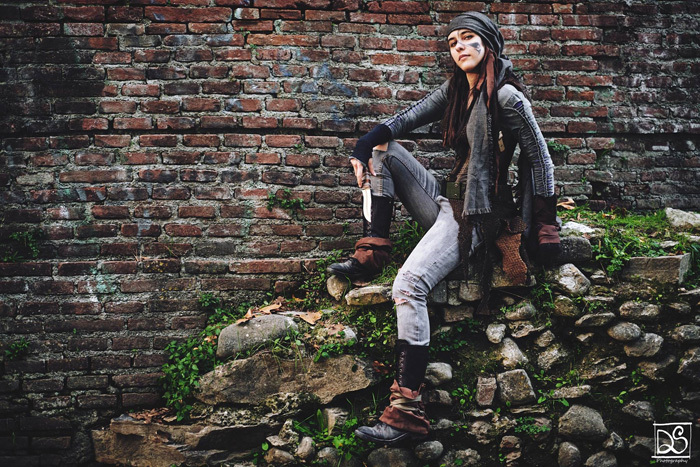 Still I hope things will change in next season, her character has often been probably seen as an appendix of Murphy�s more than a character on her own (her storyline is always bound to his, her more remarkable trait for some is being Murphy�s LI), and so far season 5 has been promising on this regard. Don�t take me wrong, Murphy is a great character as well and Memori is my neverending ship, but she deserves some characterization for her own. I'm so glad she semms like starting relying on the rest of the crew as well, starting from the amazing Raven Reyes. All I need now anyway, is still a John Murphy or two to bribe with my knife!"